Artificial sweeteners are known to be present in countless food products, but a recent study involving six artificial sweeteners has found that they have a toxic effect on the digestive system. The study, published by Molecules and reported in Science Daily’s article Artificial sweeteners have Toxic effects on gut microbes, found that, when introducing just one mg./ml. of the artificial sweeteners to the digestive system, it became toxic. The study tested six artificial sweeteners including aspartame, sucralose, saccharine, neotame, advantame, and acesulfame potassium-k.
Prof. Ariel Kushmaro, John A. Ungar Chair in Biotechnology in the Avram and Stella Goldstein-Goren Department of Biotechnology Engineering, told Science Daily, “This is further evidence that consumption of artificial sweeteners adversely affects gut microbial activity which can cause a wide range of health issues." Further evidence has surfaced that supports the theory that a Mediterranean diet could reduce a person’s risk of depression. The study, “Healthy dietary indices and risk of depressive outcomes: a systematic review and meta-analysis of observational studies” published by Molecular Psychiatry, found evidence to suggest that by avoiding sugary processed foods and following a plant-rich diet there is an associated reduced risk of depression. 20 longitudinal and 21 cross-sectional studies were included in the research and found a correlation between diet and mental health. A recent study has uncovered a surprising link between nasal bacteria and the severity of colds, which could be the reason that people suffer colds in differing severity. 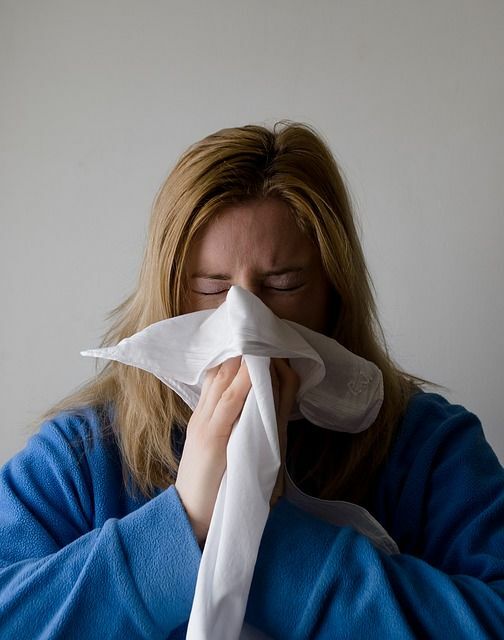 Conducted by the University of Virginia School of Medicine and published in UVA Today, the study found that are six different patterns of nasal microbiomes, where the different patterns correlated with a differing severity of cold symptoms. Dr. Ronald Turner, who was a part of the research team that led the study caveated, “What we’re reporting is an association”, quick to reaffirm that the study involving 152 participants didn’t conclusively find that these patterns were correct in all cases but he did say, “I suspect there is some interaction among the host and the environment and the pathogen that determines what you end up with.”. As always, we’d love to hear what you think. Share your comments with us on our Facebook and Twitter pages.